Otto is a select ensemble made up of ECMC members chosen each season by internal audition. 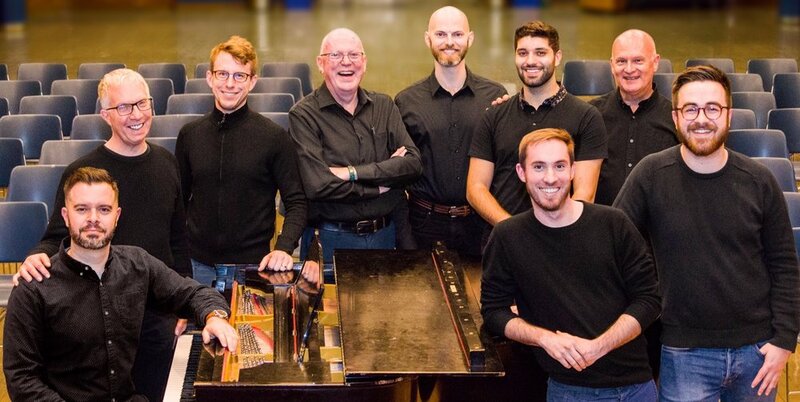 They serve as artistic stewards within the organization, perform small vignettes during series concerts, and are available for hired performances—please email info@empirecitymenschorus.org for hiring requests. The men of Otto are the embodiment of ECMC's core Mission and Values. They are both exceptional musicians and model “choral citizens”, with proven dedication to exemplifying diversity and humanity within the ECMC membership, and outwards to the listeners and communities served by ECMC. The members of Otto 2018-2019 are Bill Powell, Steve Ostrow, Matthew Robbins, Clay Morris, Jimmy Johnson, Kameron Ghanavati, Ron Languedoc, Ted Cherney, and Scott Michael Brown. The ensemble made its premiere performance at ECMC's holiday 2015 Thrive Concert Series, where they sang an arrangement of the Wexford Carol by Dean X Johnson (1954-1998), the part of the featured chorus in Ave Maria by Franz Xaver Biebl (1906-2001), and O Regem caeli - Natus est nobis by Tomás Luis de Victoria (c.1548-1611).